Ray Grymski has 25 years of experience consulting to over 100 organizations that include Fortune 500 companies, small and medium-sized businesses, and hospitals. He specializes in helping Boards and executives implement strategic change. Specific assignments include: organizational redesign, Executive Team development, mergers and acquisitions, and Change Management. Clients include: 3M, Motorola, Allstate, Ascension Health, RR Donnelley, and Kaiser Permanente. Rays consultation often includes coaching CEOs and other executives by providing helpful feedback, provocative insights and specific action steps to help these individuals simultaneously pursue organizational goals and personal success. 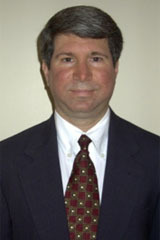 He held Senior Manager positions with Deloitte Consulting and Ernst & Young. Early in his career, he was employed in the Human Resources Department of the Miller Brewing Company. He received his MBA from Case Western Reserve University, which included doctoral-level coursework in Organizational Behavior and a concentration in Information Technology, and he pursued post-graduate education at The University of Chicago Graduate School of Business.